Now, I don't have Mega/UberBase, but a quick search gave me 11 Capablanca games with 59 moves. Which could this game of "Beautiful, cold, remorseless chess" be ? Maybe its St Petersburg, 1914, Black in a Spanish against Tarrasch. Perhaps White in a Queen's Gambit Accepted against Max Euwe in Amsterdam in 1931 ? But I'm going for White in a Queen's Gambit in Buenos Aires, 1927 against Alekhine, when he lost the World Championship. 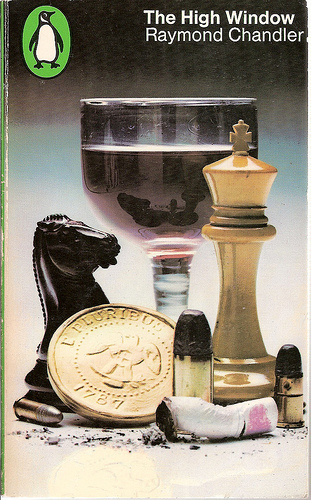 After all, when would a solitary, hard-nosed 'tec like Marlowe best empathise with Capablanca ? Just when he's at his lowest point, and needs to get up and fight back !